The auction item is 100% brand new in original box. 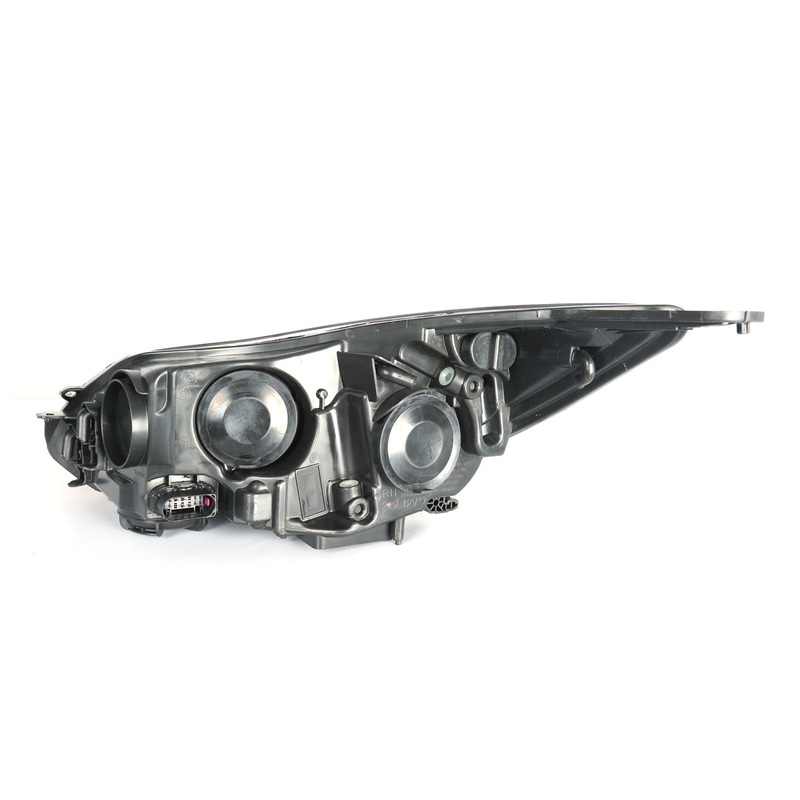 Package comes with left and right sides headlights for direct replacement. 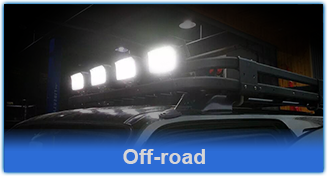 Made by OEM approved & ISO certified manufacturers in materials that meet or exceed strict OEM requirements. If you pay with Paypal (confirmed address only), please go through our eBay checkout to complete the transaction. Click on the “check out” button in eBay or the link in the winning bidder notice email that we send to you after the auction ends. Your payment will not be recognized without going through eBay checkout. Feel free to email us if you do not know what to do after winning a bid. Payment is required within 7 days of the end of the auction. A payment notification will be sent after receiving the payment. Your orders will be shiped by Fedex or USPS. Shipping Service is one of the most important parts for the internet business. That's why we pay up most attentionwhen it comes to packing the item. 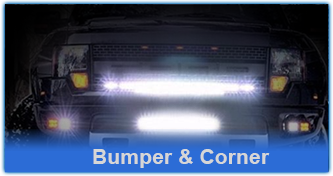 Our shipping department has over 5 years of shipping experience with Fedex and USPS . PackingQuality is Guaranteed! Shipments to PO Box/HI, AK, VI, PR, GU, MP, APO/FPO will be shipped by USPS. Delivery transit may take 1-7 business days for U.S. customers, depends on destination. For Canada Buyers, we will cover the brokerage fee for your shipment, and it is usually not covered by other sellers! For all Canadian Buyers, you are only responsible to pay for custom duty that is charged by Canada government. For the California buyers,there will be a 8.75% sales tax of the item price. All items are brand new. We recommend professional installation after delivery because items do not come with installation instructions. Buyer takes full responsibility if chooses to install the item by themselves. Damaged during shipping. Please contact seller within 1-2 weeks after delivery. Return label will be issued for sending back damaged item for exchange or refund. Received wrong item. Please contact seller within 1-2 weeks after delivery. Return label will be issued for sending back wrong item received for exchange or refund. Not Satisfied or Not like or Change of mind. Please contact seller within 1-2 weeks after delivery to arrange return and refund. Buyer pays return shipping for refund of item price(If free shipping order, 20% restocking fee will be applied). Defective. Please contact seller within 60 days after purchase. Return label will be issued for sending back defective item for exchange or refund. Buyer purchased wrong. Buyer needs to contact seller within 1-2 weeks. Buyer pays return shipping fee for sending back item. (1)If exchange, buyer pays reshipping fee. (2)If refund, refund item price only(If free shipping order, 20% restocking fee will be applied). Fitment problem. Please contact seller within 60 days after purchase. Seller will work towards a solution. Lost claim. Please contact seller right away if package is not received within time specified by Tracking information. All return items will require a RMA number, which is given by our customer service department. Package returned without the RMA number written outside of the box WILL BE REFUSED. ALL THE RMA SHOULD ONLY BE SHIPPED USING POST OFFICE PRIORITY MAIL. All return items MUST be inbrand new condition which means the item is never installed and kept in the original packaging! Our goal is to ensure all of our customers will have an enjoyable purchasing experience, so if you found any problems with the item, do not hesitate to contact us and let us work with you and solve the problem. We offer a limited warranty of 60 days on the item upon the date the item is received. 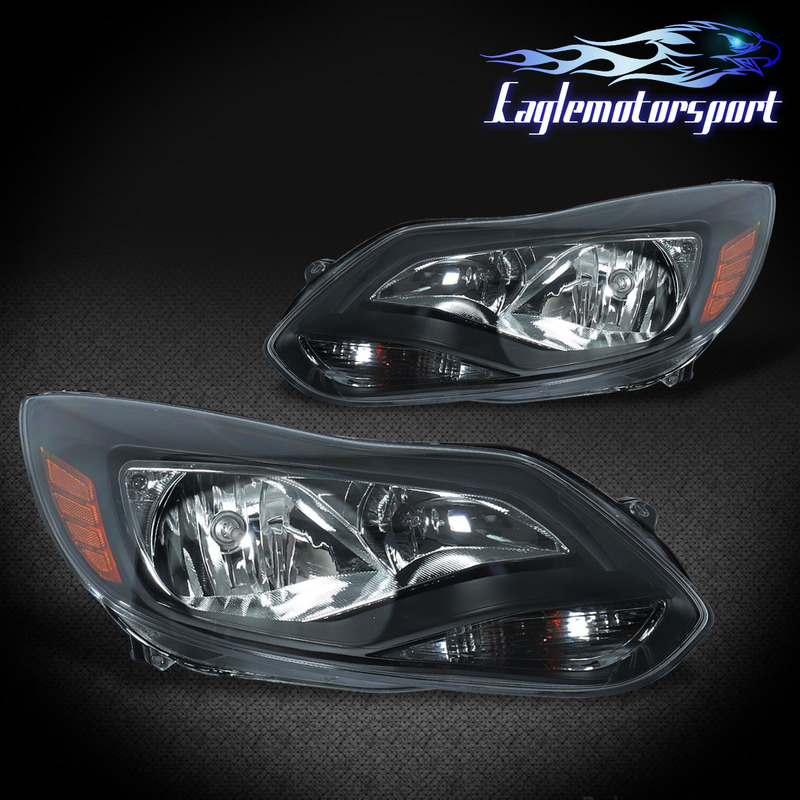 2012 2013 2014 Ford Focus Factory Style Black Headlights Head Lamps Pair fits on the following vehicles. This is for your reference only, please check your auto manual to make sure it fits.